Make Your Choice! A highly engaged workforce means low absenteeism and high productivity! - Make your choice: Knowing Your Non-Negotiables will keep you Employable! 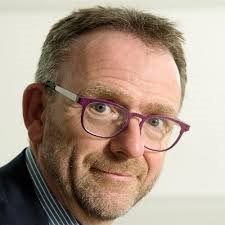 Paul ter Wal, CSP, is an internationally sought-after employability expert and work health architect based in Holland. For more than 20 years he has been in the speaking, consulting and training business for executives, HR directors and employees. According to the Gallup Engagement Index 87% of employees worldwide are not engaged at work. The world has a crisis of engagement, with serious and potentially long-lasting repercussions for the organizations. This is where Paul steps in. He works on both sides - employer and employees - to create work happiness and loyalty. His concept is based on finding the "Non-Negotiables" and the core values of the individual as well as the company. Because a highly engaged workforce means the difference between a company that thrives and one that struggles. When employees are engaged, they are passionate, creative, and entrepreneurial, and their enthusiasm fuels growth. These employees are emotionally connected to the mission and purpose of their work. "Paul ter Wal inspired people during a lunch meeting of 10 HR managers representing large organisations from up north when he shared his vision of sustainable employability. Making reciprocal agreements from the core values of both company and employee and to also respect and honour these agreements, leads to a higher level of engagement and higher productivity! Paul supported his vision with practical examples and gave his audience something to think about. He is not only a storyteller, but also possesses a great deal of practical experience. Fascinating material for a presentation, but perhaps also a starting point for a renewed view on sustainable employability and absenteeism for organisations." Drs. A (Arjan) Dokt0r Physician Commercial Director Wibbens arbeidskundig advies B.V.